Fans of Monty Python, Mr. Bean, and Dr. Seuss… Grab your teacups! The outrageously funny and brilliantly inventive O Christmas Tea returns to Kelowna with more surprises than ever! Fans of Monty Python, Mr. Bean, and Dr. Seuss… Grab your teacups! 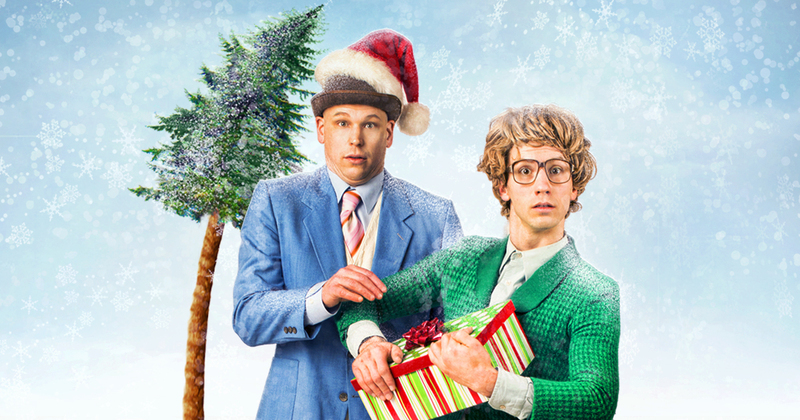 Following the smashing success of their 2016 & 2017 Canadian comedy tours, London’s 3-time IMPRESARIO award-winning comedians James & Jamesy return with their outrageously funny and brilliantly inventive Christmas comedy O Christmas Tea. When catastrophe strikes at James and Jamesy’s Christmas tea party, flooding the world with tea, the friends leap into action, finding innovative and hilarious solutions to keep them afloat. Redefining immersive theatre, these masters of physical comedy—with over 20 comedy awards to their name sweep the audience out to sea in a jolly aquatic escapade brimming with whimsy, action, and ingenuity in a celebration of friendship at Christmas.